The provinces of Chanthaburi and Trat in southeastern Thailand. This statue depicting the process of mining gemstones is outside of the Chanthaburi Gem & Jewelry Traders Association building in Chanthaburi. Sith Jungsanguansith (left) talks with Dr. Pornsawat Wathanakul. The main street where the famous Gems Market takes place. Gem traders waiting for buyers at the Chanthaburi Gems Market. The Cathedral of the Immaculate Conception was completed in 1909 and is the largest Christian church in Thailand. Inside, a statue of the Virgin Mary is decorated with sapphires and other colored gemstones. Some of the group walk through the mud up to the jigs, where the gems are separated from the material in a sapphire mine near Chanthaburi. Dr. Pornsawat Wathanakul and Ioannis Alexandris examine some gem material at a sapphire mine near the Wat Plub pagoda. Mechanized sapphire mine in the Bo Rai area, in Trat Province. A unique columnar basalt formation near the Wat Saen Tum. The gold fabric draped around the tree protects it from being harmed. Realistic wax figures at Jewel City depict the burning process of heating gemstones to improve their quality and color. A demonstration mine depicting the actual mining process at Jewel City in Trat, as part of Geo-Tourism efforts in the area. In the 19th century, Thailand was an important source of sapphire, especially the eastern province of Trat, near the Cambodian border, but it was not so well known for ruby. After a coup d’état in Burma in 1962, the military nationalized the gem mines, effectively cutting off the world’s major ruby supplies. Attention then turned to Chanthaburi, about 250 kilometers southeast of Bangkok, on the Gulf of Thailand. This province, along with neighboring Trat, soon became the Ruby Capital of the World, famous for the exceptional Siamese Ruby. Less than forty years later, however, the ruby mines were depleted. Mining for sapphire and other gems continued, but on a smaller scale. During this time, though, Chanthaburi, had evolved from a mining area to a major gem center, with skilled cutters and facilities for heating and other treatments. In 2015, Thailand exported an estimated $1.42 billion worth of gemstones, with sapphires a significant share, according to the Gem and Jewelry Institute of Thailand (GIT). While the traditional center of the colored gem industry is Bangkok, where dealers have offices, nearly all the cutting and treatments are done in Chanthaburi. Although its name means City of the Moon, Chanthaburi is more popularly known as the City of Gems. And, when gem supplies ran out at home, its gem traders traveled abroad, mostly to Africa, to bring rubies and sapphires, among other gems, back to Chanthaburi for treatment and cutting. It is estimated that most of the world’s gemstones pass through the City of the Moon, at one time or another in their travels. Today, Thailand’s gems and jewelry industry accounts for the nation’s third largest export sector, and employs more than one million people. Some 80 percent of exported gems are cut and quality enhanced or treated in Chanthaburi, making it the largest gem center, not only in Thailand, but in all of Southeast Asia. The Chanthaburi Gem & Jewelry Traders Association is the trade body representing the industry, and serves as an important trade and information center in the country. Its headquarters are in a very modern building that includes a gem museum, multimedia room, gem exhibition hall and a gem cutting and setting demonstration. There is also a large area where gems and jewelry are sold. Our first stop in Chanthaburi was to the World Sapphire Center (WSC), the largest sapphire trading company in the nation. Established in 1972 by Matee Jungsanguansith, WSC provides all sorts of sapphire, including blue, pink, yellow and other fancy colors. “Most products come from our mine in Madagascar and from rough traders in the marketplace,” says Sith Jungsanguansith, son of the founder, and Marketing Executive. With its own cutting and treatment centers, WSC controls each step of the process, to meet orders from its customers. At the main office, WSC also has a comprehensive museum displaying sapphires from all around the world, as well as beautiful sapphire jewelry. Its pre-forming and cutting workshops are on the second floor of the building. Well known in the gem trade is the weekend gems market located in Chanthaburi's historic section. Hundreds of traders from Thailand and around the world—mainly Africa—set up temporary stands to sell and buy rough and cut gems of all types, giving the market a truly international flavor. Along with gems are carvings of the Buddha and other motifs, as well as bead bracelets and other adornment. Its gem trade goes back centuries, with accounts of mining and trading dating from the 1400s. Today, its gems market continues to be one of the world’s largest and liveliest. On the small side streets behind the main gems market area, can be found dozens of burners, people who heat and apply various treatments to gemstones to improve their quality and color. Cosmopolitan for a small city, Chanthaburi has Chinese, Vietnamese and French influences, which are seen in the architecture of the area and in the smorgasbord of street food in the old town. Noodles, soup bowls, fruit, barbequed meat, sweets and drinks of all kinds abound. Across the river from Chanthaburi's historic area is the French-built Gothic-style Catholic Cathedral of the Immaculate Conception, originally constructed to serve the large number of Vietnamese Catholics who make up a significant minority of the small city. Completed in 1909, it is reported to be the largest and most beautiful Christian church in Thailand. The centerpiece of the cathedral is the statue of the Virgin Mary, which is covered in gold, precious gemstones and enamel. The blue color of her cloak is made up of thousands of blue sapphires from the Chanthaburi and Kanchanburi areas, while the rest of the statue is decorated with white sapphires, Thai rubies, and hundreds of yellow and orange sapphires from Chanthaburi and other countries. The glittering jewel-encrusted statue showcases the workmanship of the local people. In the afternoon, the group heads for the mining area just a few miles outside of Chanthaburi. The early gemstone discoveries in Chanthaburi province date back centuries, and were found mostly in the volcanic area, Khao Ploy Waen, whose name means Hill of Gems—an apt name since the gems discovered include corundum, blue sapphire, green sapphire, yellow sapphire, zircon and pyrope garnets. Although the rubies have been mostly depleted, this area enjoys a resurgence in sapphire mining. Large dark blue stones, green sapphires and the locally prized golden yellow Whiskey sapphires are found there. The geology in this area is alkaline basalt and the corundum deposit layer can be found at a depth of one to fifteen meters depending on the topography at the time of the past lava flows. Mines are scattered around the area, and formerly were simple pit mines. Today, mechanized mining of various sizes is the norm. On the way to the mining area, we arrive at a beautiful temple complex, Wat Plub, often called the Persimmon Temple. Here, local taxis wait to take us over the narrow dirt roads to one of the mines; the roads are impassable for our buses. At the end of the road, we hike a few hundred meters to the mining site. A large backhoe greets us before we see two pools of muddy water and the mechanical equipment used to extract the sapphires from the alluvial soil. The gem material mixed with water is pumped from one pool up to the washing basin and jigs. The gemstones are collected in pans beneath the jigs, and the water is recycled from the second pool back to the first. As we return to the taxis, a local woman approaches with a tray of gems collected in the area—and probably elsewhere—some faceted and some rough. Between Chanthaburi province and the Cambodian border is the province of Trat, home of the famous Siamese Ruby. With its coast on the Gulf of Thailand, the province includes many small islands with white sand beaches and coral reefs, including many within Mu Ko Chang National Park. The largest island is Ko Chang, which features dense jungles, waterfalls, coral reefs and Bang Bao village with its houses on stilts. Trat Province used to be a land of plentiful gemstones. Starting in 1973, pioneers from around the world came to explore and mine the area’s precious gems. Mechanized mining was so intense that in 25 years, supplies of the coveted Siamese ruby became depleted. A number of large rubies were discovered here, among them several fine quality stones in 10-carat sizes and above. The largest was a 150-carat rough, discovered in 1985 in Trat. The locals took up the call, however, in 2014 and started panning, finding rubies and other gems in streams and rivers. The main areas where the Siamese Ruby was mined are Bo Rai and Nong Bon, although the best colors were from Bo Rai. The pink gem is associated with alkali-olivine basaltic, nephilinite, and other igneous rocks. As we wind our way to Bo Rai, we take a detour to visit the jungle temple of Wat Saen Tum, a ​Dharma-practicing facility, where we meet some of the Buddhist nuns. They stress the importance of protecting the remarkable columnar basaltic rock formation that is located nearby, where relics such as beads, pottery and ornaments have been found. As we leave the temple, a contingent of military police accompany us past vast rubber plantations and pineapple fields to an active gem mine several kilometers away. Larger than the mechanized mine we visited the day before, we could see the heavy machinery and hear the rush of water and the clatter of gem material through the trommel and jigs as we walked several hundred meters down a small dirt road to the site. A few more adventurous members of the group tromped through the mud, to visit the entire site, and collect some gem material, from which various colors of sapphires are produced. From the mine, we continue to Jewel City, located in the Tambon Bo Ploy District, Bo Rai, Trat. To our surprise, a large group of people greets us, including the Deputy Mayor of Bo Rai and other local dignitaries, along with the owner of Jewel City. After the welcoming ceremony, we visit the Mueang Anyamani Museum (known as Jewel City) and demonstration mine. Totally unexpected, the museum can give Madame Tussauds a run for its money. In several rooms, extremely life-like wax figures depict the story of gem mining, from digging a hole in the ground, to burning the gems, to selling the final product at market. There is also a section of old tools used in the trade, as well as samples of real minerals. 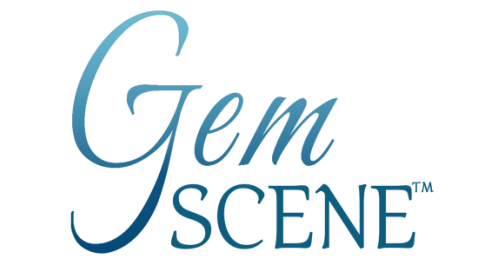 The gift shop includes trays of rough and polished gems for sale, which attracts much attention from the gem buyers in our group. In a side room, women create baskets, hats, and other accessories in the traditional manner of weaving plant leaves together. Museum founder, Prasert Samranjit, created the museum as a model for geo-tourism in his country in light of the declining mining industry. Familiar with efforts to create geo-tourism in Thailand, Dr. Pornsawat Wathanakul, GIT Director, explains, “When you combine geo-tourism with agro-tourism, there is a better chance for a project to succeed. This increases employment for the local population and benefits the community as well as the environment.” On the agro-tourism side, this area produces nearly 46 percent of Thailand’s durian fruit, which represents some 27 percent of world production. Besides fruit and other edibles, souvenirs such as woven baskets and hats and Trat’s famous Yellow Oil can all contribute to make Trat a tourist destination—its beautiful beaches notwithstanding. Even though Jewel City is a bit far from Thailand's main tourist destinations, it is definitely worth the detour, as is the entire area of Chanthaburi and Trat. Photos courtesy of GIT, Ioannis Alexandris, Ivy Teong, and Cynthia Unninayar.